Do you find yourself staring into your closet saying “I have nothing to wear” even though you’re staring at a closet stuffed full of clothes? Maybe what you’re really saying is “I have nothing I want to wear”, or “I have no idea what to wear this with“. 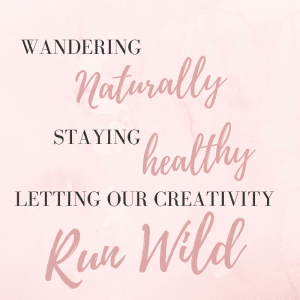 We’ve all been conditioned to fill up our closets with all the latest trends and styles, but I still find myself reaching for the same few pieces on a regular basis. I bet you do the same, don’t you? Because dressing yourself should be easy! These are the clothes that you love, the ones that fit great and make you feel great when you wear them. You wear this “capsule” for a season and then exchange it out for another season’s wardrobe. 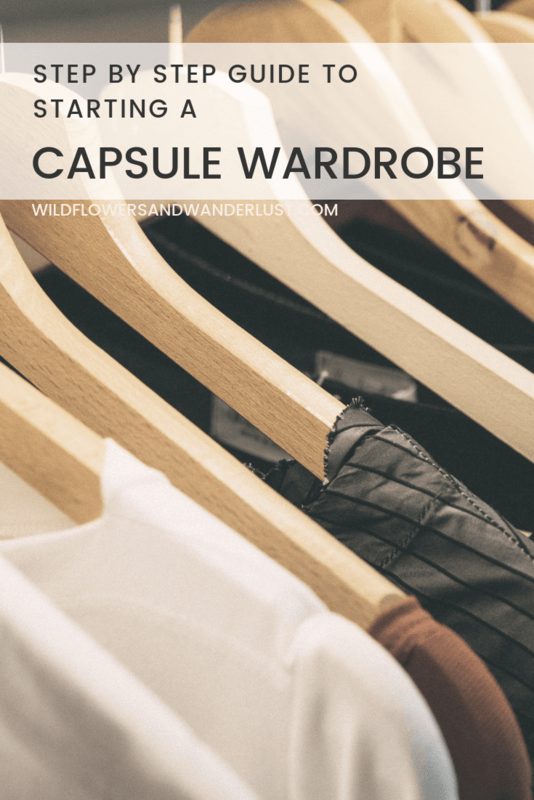 The basic premise of the capsule wardrobe is that all the clothes in your collection can mix and match easily. What this means is that you have a few pieces in each category, and you’re able to make lots of different outfits out of them. The capsule is limited to a certain amount of pieces . 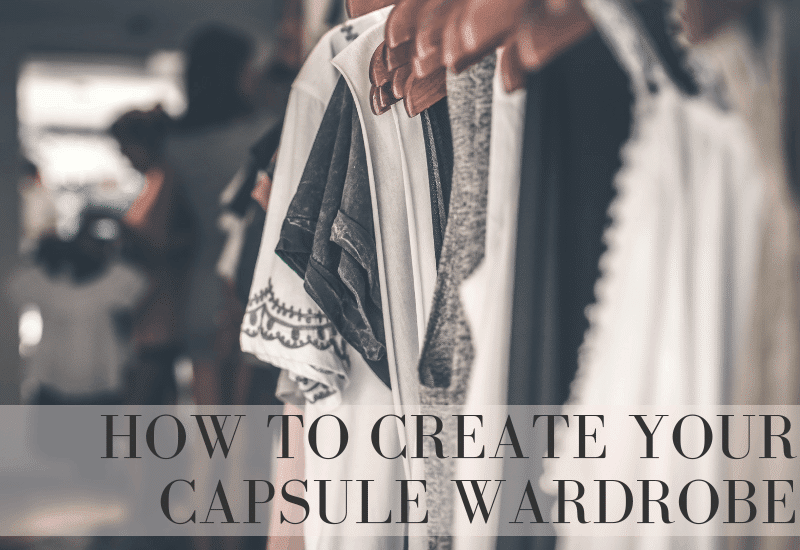 The number that we are using is 34, and we’re going to share with you how to put your capsule wardrobe together. Well the obvious part of a capsule wardrobe is that it contains clothes. The real key to this is that it’s a set amount of clothes and they are meant to last a season. This keeps us from getting bored with wearing the same things repeatedly, but it also accounts for changing weather with the seasons. Unless you live somewhere that doesn’t have seasons, or the seasons don’t change much. But we can work with that situation too, we are focused on planning a 90 day wardrobe. A capsule wardrobe is your “everyday” clothes. If you work a 9-5 it’s going to be the clothes for that, if you’re a stay at home mom it’s going to be the clothes you need for that. That’s the capsule. For our planning purposes we are going to use 34 as our number. Your capsule will have 34 items in it. Remember that these are your everyday clothes. I don’t include my workout clothes, my pajamas or swimsuits in this number. Now if you’re wearing those yoga pants everyday – then those count as part of your wardrobe, not your workout clothes. That’s why they call it “athleisure”. Of course it’s okay to wear yoga pants everyday, just be sure that they’re included in your capsule. Some people include all their accessories in their capsule wardrobe, such as their jewelry, purses and scarves. If you’re trying to curb a shopping habit then you might need to set a limit for these items. I am lazy and wear a “uniform” of mostly the same jewelry everyday so I don’t count those pieces in my capsule. Remember that these are just guidelines, they aren’t hard and fast rules. It’s your wardrobe, after all. I’m not going to show up at your house and count your items!! 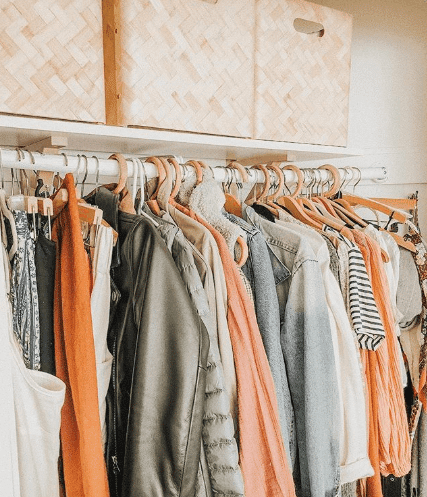 You will have to determine the best way to use a capsule wardrobe that works for you and your lifestyle, but I recommend trying the 34 piece idea for a season and then tweaking it as you move forward. The whole idea is to save time and money, have less clothing pieces that you don’t wear and more that mix and match. It’s to take the time and stress out of dressing so you can focus on more important things. We’re going to start of by determining what clothes we actually need to get through an entire season. Your goal is to figure out what clothing you’re going to need for the next 90 days. When you pare your wardrobe down to less items, the remaining pieces are really going to have to pull their weight. That’s why planning in advance is part of the process. I know that this might strike fear in almost anyone. I didn’t say clean out your closet, I said clear it out. We’re not doing anything drastic like carting everything off to a donation station. We’re going to start by looking at the items that we already own and removing items that don’t serve our needs. If you weren’t wearing them anyway, they’ll be fine to go into storage and out of sight for a bit. Would I wear it today? If the answer to any of these is “no” then that items needs to be moved. This means your winter coat and boots in the summer, your sundresses in the winter. You get the idea. Just move all these items to another room, a free standing rack, another closet, etc. The only decision we’re making right now is “am I going to wear this right now”. If the answer is no then the item gets moved. If the answer to any of these is maybe then leave it for now. Hopefully you have some versatile pieces that go with lots of other things you wear regularly. We’ll take a look at all these in the next step. This is a judgement free zone. We won’t tell anyone about that dress with the tags still on it. We won’t see those tops that you stuffed to the back without ever wearing them. We’re all guilty of buying emotionally or a great deal on clearance that winds up not being a great deal. Right now we are moving all that stuff out. We’re clearing up space, both on our shelves and in our minds. I use clear plastic storage totes for my off-season items, but I’ve been eyeing this as a new option..
Look now, look how much free space you have. It’s time to celebrate. Now that we’ve moved some stuff out of our way let’s talk about what we have left. These are the items that you reach for again and again. These are the pieces that are comfortable and you’re comfortable in them. This is going to be the starting point for your capsule wardrobe. You may see a common theme in your colors and style, and this helps you determine what pieces you’ll need to fill in for a season. When you look at what you have left in your closet, you may see common colors. Choosing a color palette not only makes it easier to mix and match, but it will save you money when you head out to shop. Instead of just wandering through a store and waiting for something to catch my eye, I now have a specific list of items that I’m looking for. When I shop I know exactly what I’m shopping for. This helps save me money and I know that when I pick a piece it will fit in with the pieces I already own. I don’t have to guess. It has also made me pay closer attention to fit and comfort. I’m not going to buy something that’s a great deal unless I know it’s going to work hard in my wardrobe. So what you want is for your pieces to coordinate. For some great lessons on picking a color palette I’d recommend checking out Anuschka Rees website. There are numerous articles and tons of tips on coordinating palettes, but don’t get too caught up there and lose sight of what you’re doing here. Stay on track on what you’re trying to accomplish here – 90 days worth of clothes! Once you’ve tried it you’ll find that it gets easier to do each time. Don’t forget to check your calendar to see if there are lots of events that you need to plan for. If I’m attending a wedding I don’t count that outfit in my capsule, but a wedding shower, baby shower, birthday party I do. I usually pick a versatile dress that I can wear for those occasions. I like to start with my bottoms and work out from there because I feel like they are the base of my wardrobe. So that’s where we will start. Right now I’m planning my fall wardrobe so those are the items I’m concentrating on. Do you wear jeans or slacks each day? If the answer is slacks then you’ll want to have a higher ratio of those and just a pair of jeans for the weekend. If you’re like me and wear jeans almost everyday, that’s going to be the majority of your bottoms. I like to have 4 pair of jeans. They are all different styles; I have a long skinny dark, a long skinny light and two pair of crops. One pair of my crops are distressed so they aren’t appropriate for all situations, but the other pair are plain and they’re perfect. I can wear my crops with low boots or tucked into tall boots when it’s cooler for my fall wardrobe. The same for my long pairs, they’re great with all my shoes. The darker ones look a little dressier so they’re great for going out. The remaining pieces I have for bottoms are a pair of black leggings, a pair of black dressier pants and a pair of pants that I like to call my wildcard. These are a cute pair of palazzo pants that work great for fall and mix well with several tops. Choose whatever 7 pieces work for you. A skirt can be a really versatile bottom that will tie in with tons of tops. It’s all about your style. Now 18 tops may either sound like way too many or not nearly enough. Remember that we’re working on a 90 day wardrobe here so if you only have 5 tops in there you’re going to get tired of wearing the same thing over and over! You’ll need to take into account the weather during your 90 day plan and here in Texas we can go from air conditioning to heat in the same day. My fall wardrobe is all about layering. I can start a day with a long sleeve tee under a denim shirt, under a jacket and scarf and end the day in only the tee shirt. That’s the kind of crazy weather I’m dealing with. Most capsule plans will tell you to include very specific pieces in your wardrobe like a white button down, a striped top, 3 t-shirts, etc. I’m not going to tell you to do that. This is the area to let your personality shine. If you want to wear crazy tops then you should go for it. You may want to have a couple of neutrals in the mix so that you have plenty of options, but again, there aren’t any rules, just guidelines. I can tell you that I haven’t owned a white button down in years, but I do have a denim one and it’s a great piece for every season. It can be worn as a shirt by itself or as a jacket over a shirt, or tied around my waist. Well I don’t tie things around my waist but if I did, it would look great. It can also double as a swimsuit coverup in the summer! That’s a versatile piece of clothing. I’m not a big t-shirt person so I like for my tops to have some personality, but I I stick always have a fitted white tee for layering – short sleeve in spring and fall and long sleeve in winter. This fall I’m also including a charcoal grey long sleeve tee that’s fitted. I love the way it looks and feels. I love dresses. I think they are so easy to wear and comfortable. By paring down my dress selection to just two I’ve had to really think about what makes them the most versatile and how I can wear them in different ways. I like to keep a versatile LBD for fall. I can put it on with tall boots and a vest for everyday wear and I can dress it up to go out with flats and jewelry or a scarf. My second dress is a button down denim dress that can be worn so many ways and it’s a workhorse for my wardrobe. It can be worn by itself, with a vest, with a shirt under it or a sweater over it. It can even be worn as a duster style jacket over my leggings with a tee shirt. See what I mean? Versatility is the key. A great jacket can completely change the look of any outfit. I trade these out for dresses in the summer but for spring and fall I have vests and jackets that come into play. I have a navy vest that goes with almost everything and a jean jacket that I can throw on over a tee and jeans with a scarf and make an outfit. Shoes are harder for me. This is where the color palette saves me. I can store some shoes if I narrow down my color palette. Since I wear a lot of jeans I can stick with mostly brown shoes for fall. I don’t count my workout shoes as part of my capsule because I only wear them to workout. Well, I might wear them to run errands before and after a workout, but you know what I mean. For fall I have a pair of knee boots, two pair of booties, a pair of fall flats, and a pair of dressy tennis shoes. These all look great with the pants and tops I’ve chosen, and with the dresses. These include handbags, scarves, jewelry and even your sunglasses. If you’ve got a shopping habit that you’re trying to break then you should limit your accessories. I tend to wear a “uniform” of jewelry so I don’t count any of these pieces in my wardrobe. My sunglasses are missing half the time anyway so I don’t even always wear them. A great necklace or earrings can completely change the look of an outfit so they can be a great addition to your accessories. The key is to make it easy, so don’t get carried away with a ton of accessories. And try not to use this as an excuse to go out and buy more. A scarf is one of the best accessories ever. It can be worn so many different ways and can also add some color to your outfit. They can be worn around your neck, over your shoulders or in your hair. Let’s just start with time. I mean, you can’t believe how much quicker it is to get ready in the morning when there are less decisions to make. I don’t spend all my time standing in the closet wondering what to wear. By removing pieces of my wardrobe, I’ve actually expanded it. Now everything in my closet fits well, matches other pieces and makes me feel good. The decision is quick and I feel great about it. It’s also a fun game to mix and match and see how many different ways I can change things up. Anything that simplifies, streamlines or makes my life easier – YES. I will try it. I’m not the only one who’s tried the capsule wardrobe and each person has different rules and a mindset. 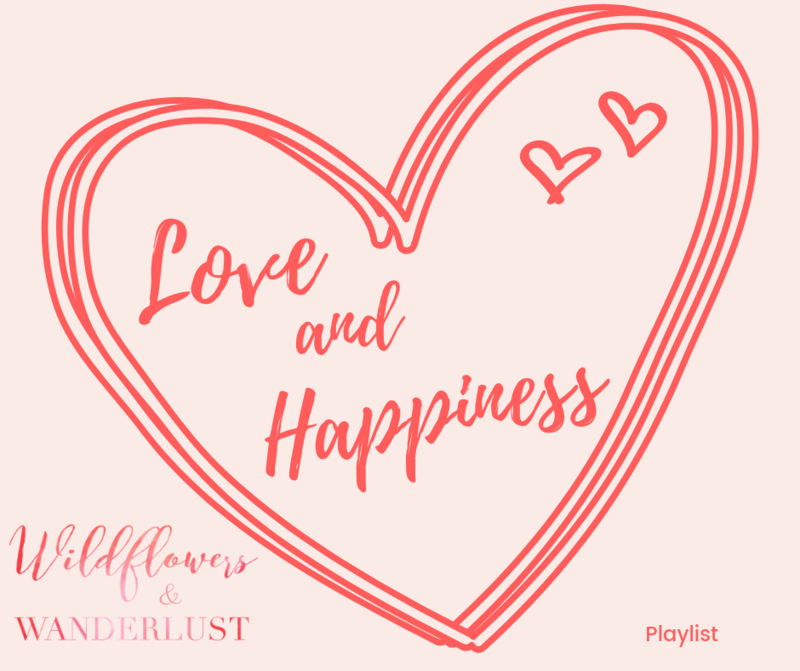 If you want some more ideas here are some great places to find them! 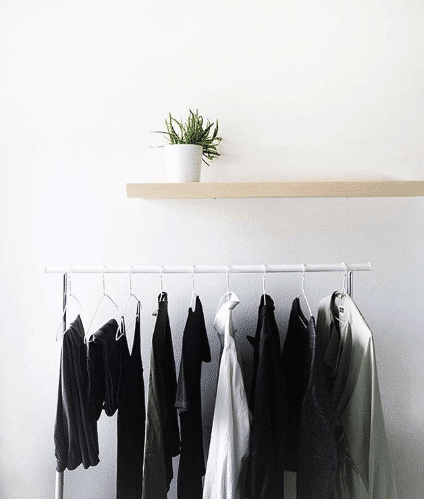 How to Start a Capsule Wardrobe on Pinch of Yum – it may be a food blog but I found this article to be well written and I like her style! 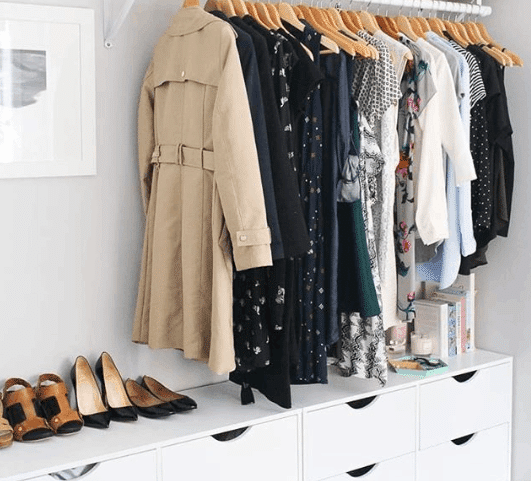 How to Build A Capsule Wardrobe on Un-Fancy. She’s got some great articles on the rules she followed and how it’s changed over time. 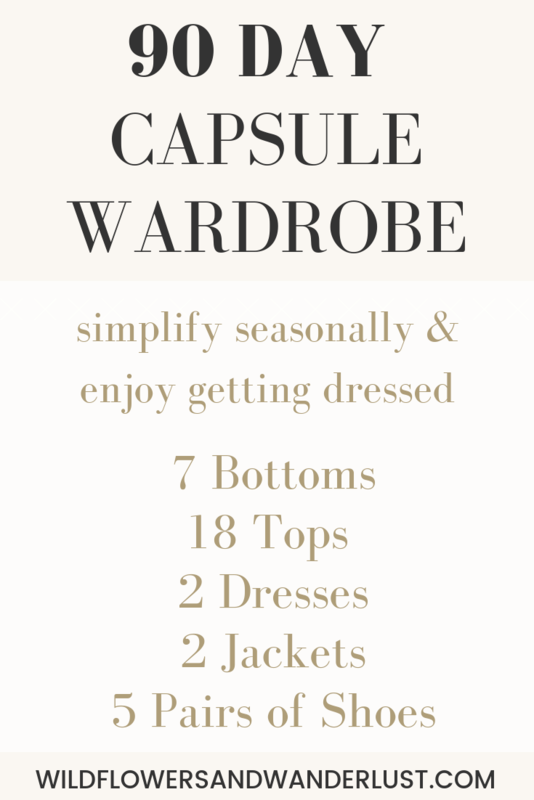 How’d you do on assembling your capsule wardrobe? Let us know in the comments below so we can celebrate with you!